Mr Hoppy lives alone in a flat where he is secretly in love with his downstairs neighbour, Mrs Silver. Mrs Silver loves her tortoise, Alfie. To get the attention of Mrs Silver and have her see him as a hero, Mr Hoppy comes up with a plan involving a magic spell, lots of lettuce leaves and 140 tortoises! Un amour de tortue is intended for native French readers. 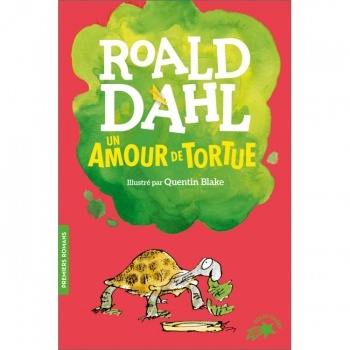 It would suit a child aged 7+ if they were fluent in French. Otherwise, this would be excellent reading material for older students wanting something a little different, or perhaps for a fluent parent to read to a younger child.